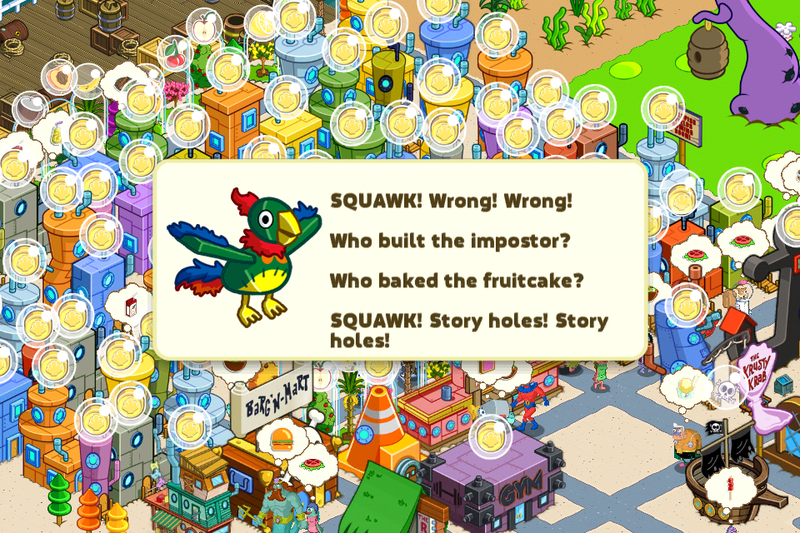 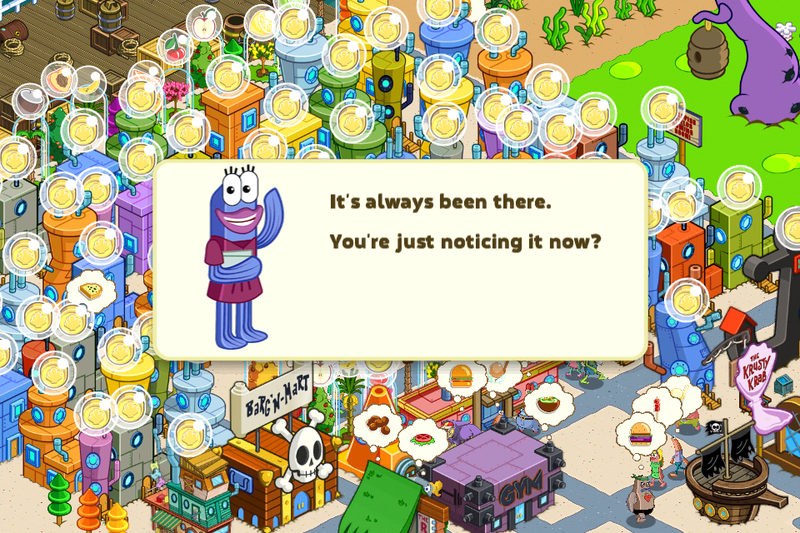 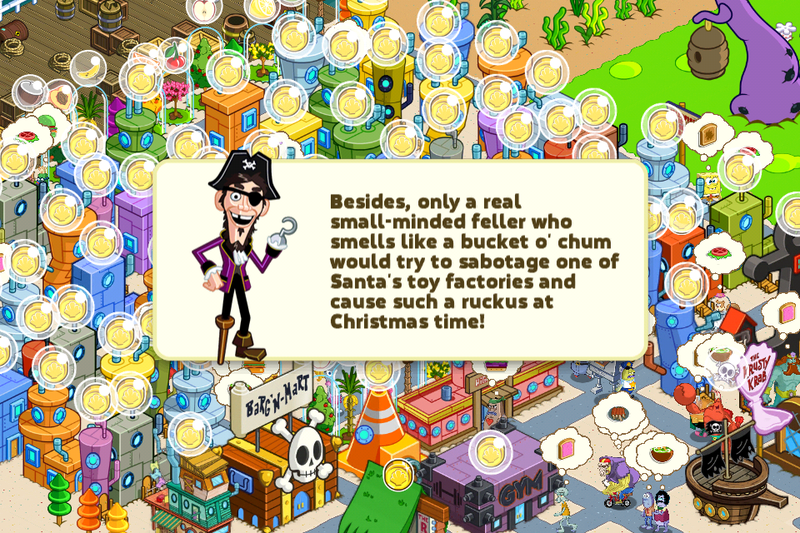 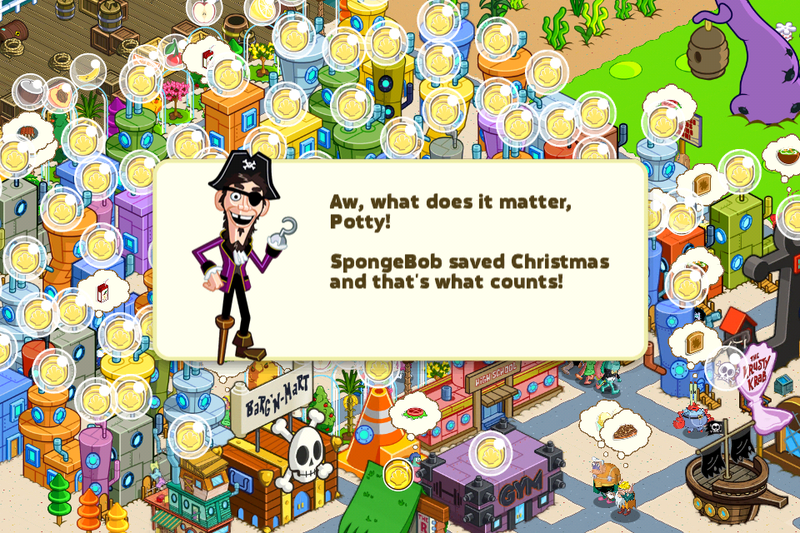 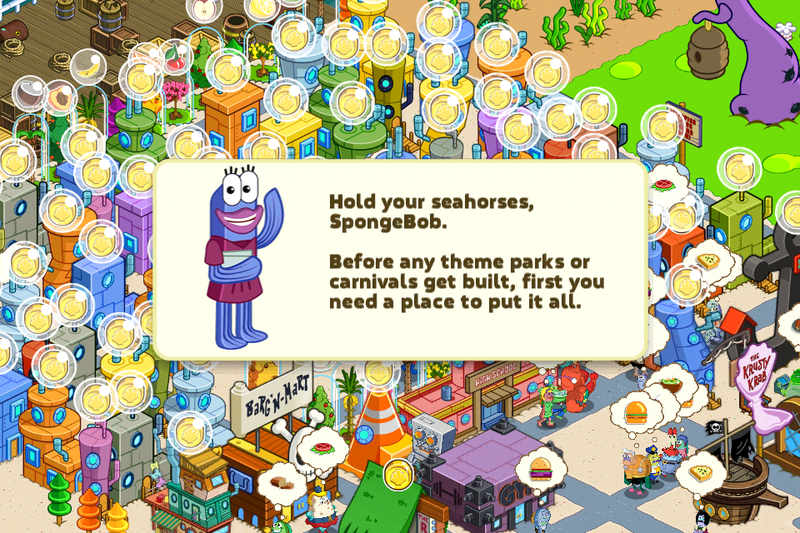 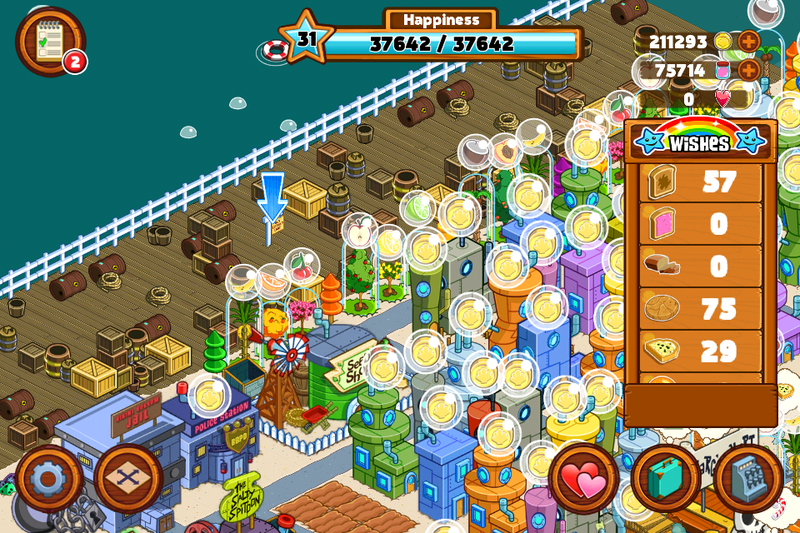 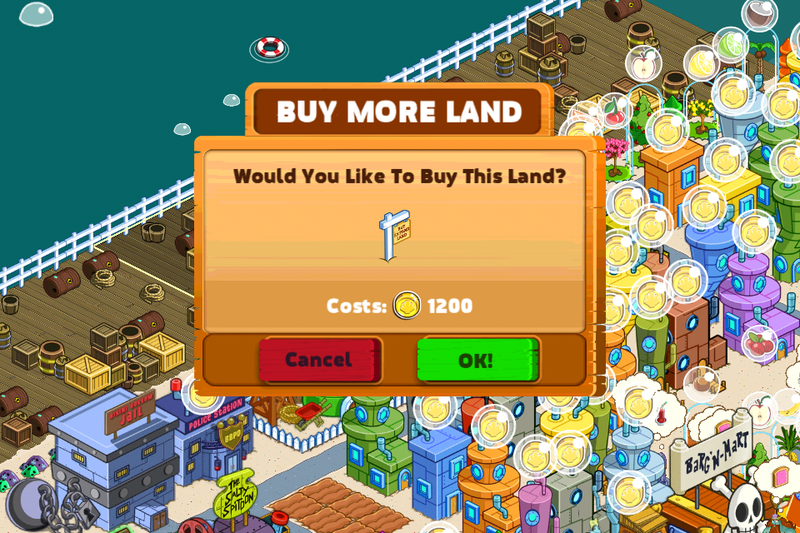 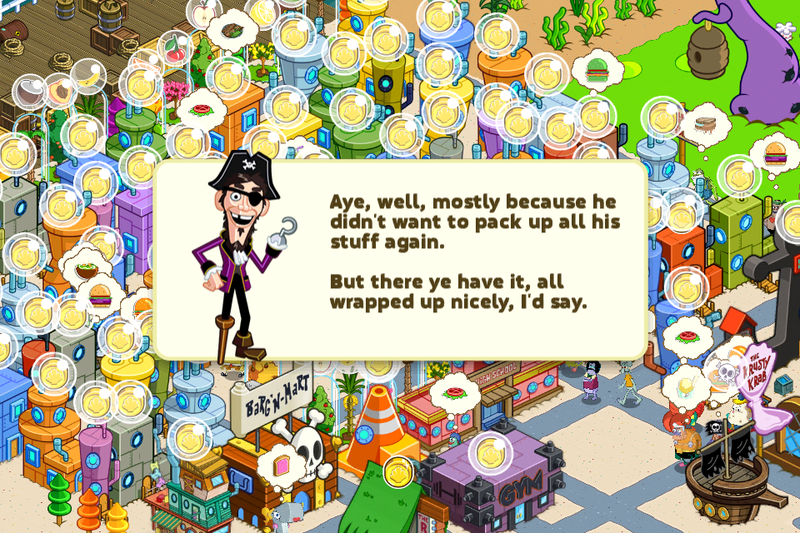 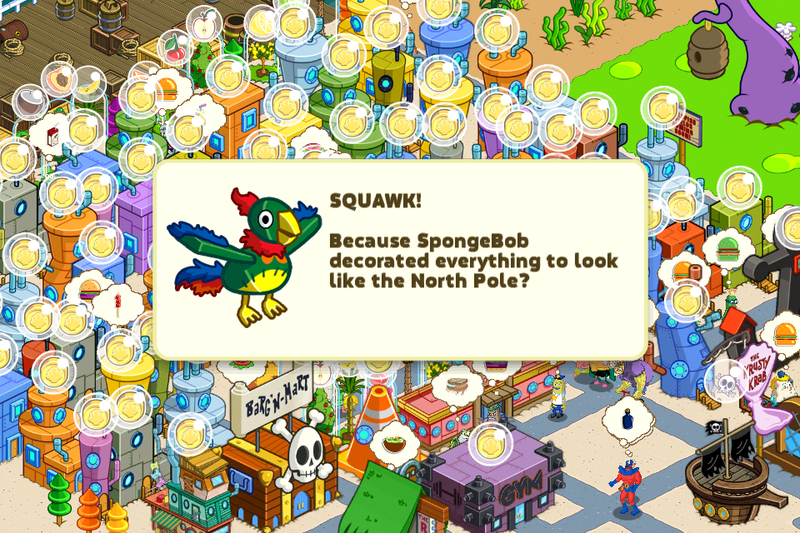 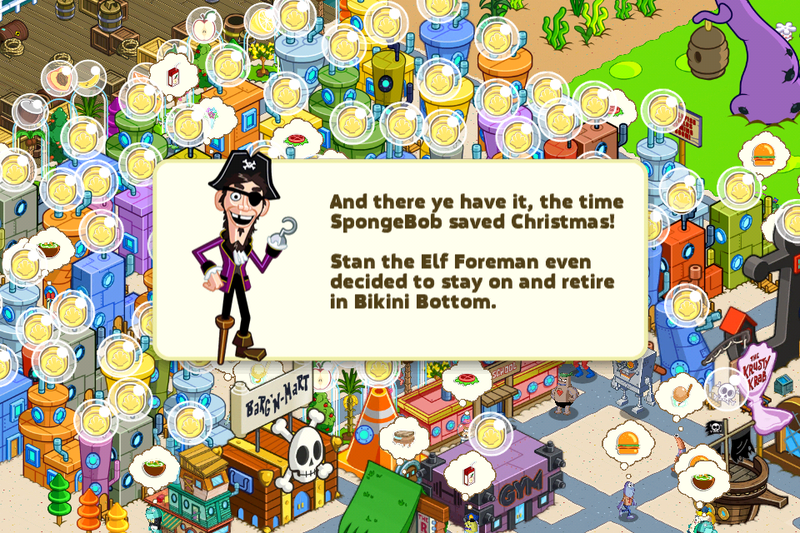 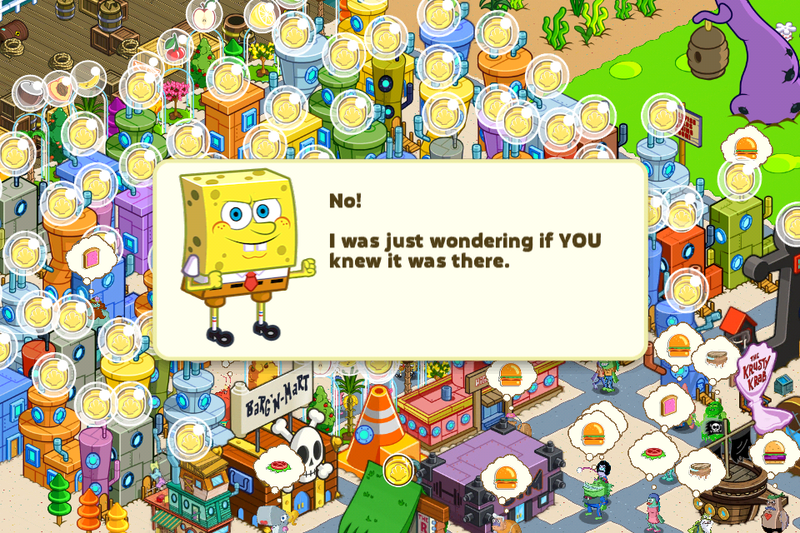 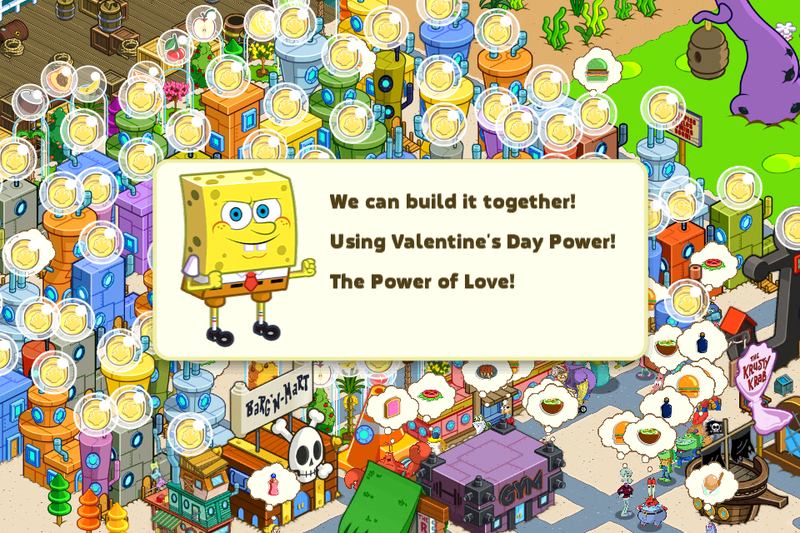 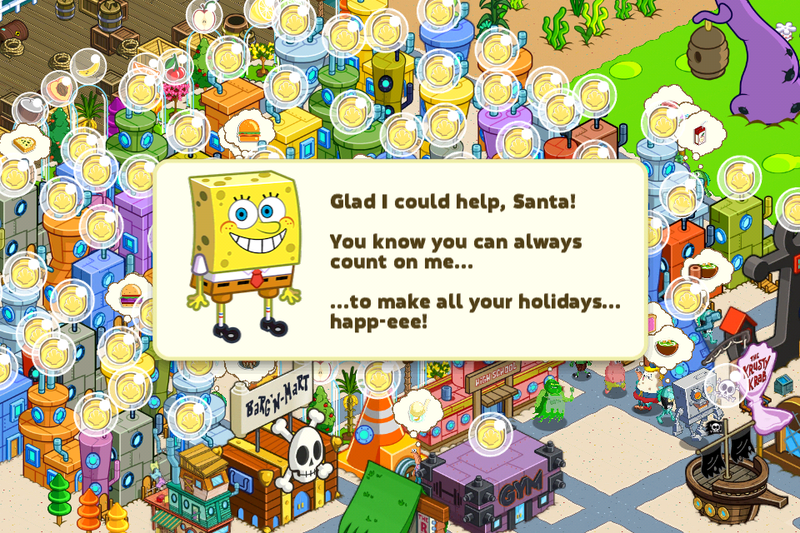 Valentine's Day 2014 Questline - The SpongeBob Moves In Guide Site! 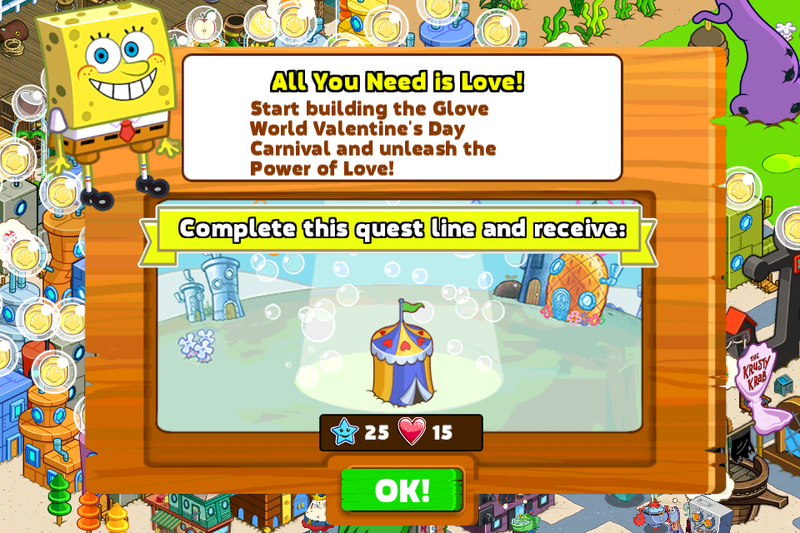 Welcome to the Valentine's Day 2014 Questline! 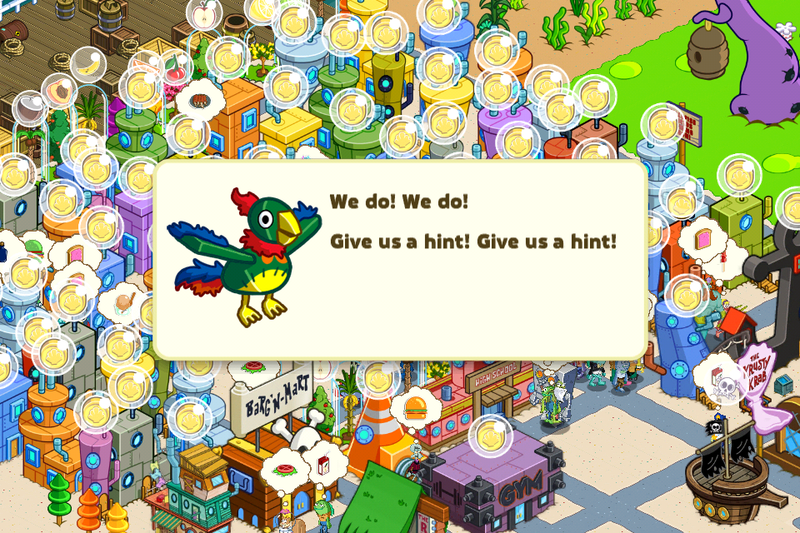 We have a full walkthrough of the quests that were available during the Valentine's Day 2014 Event in February 2014! 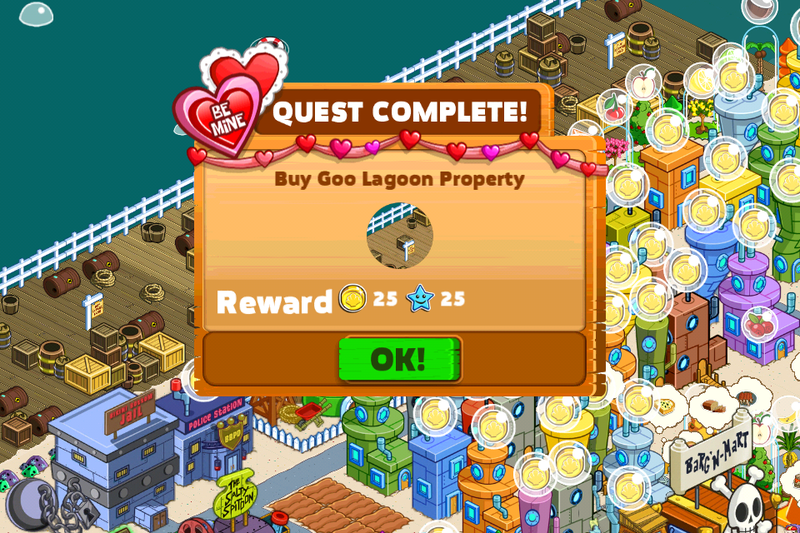 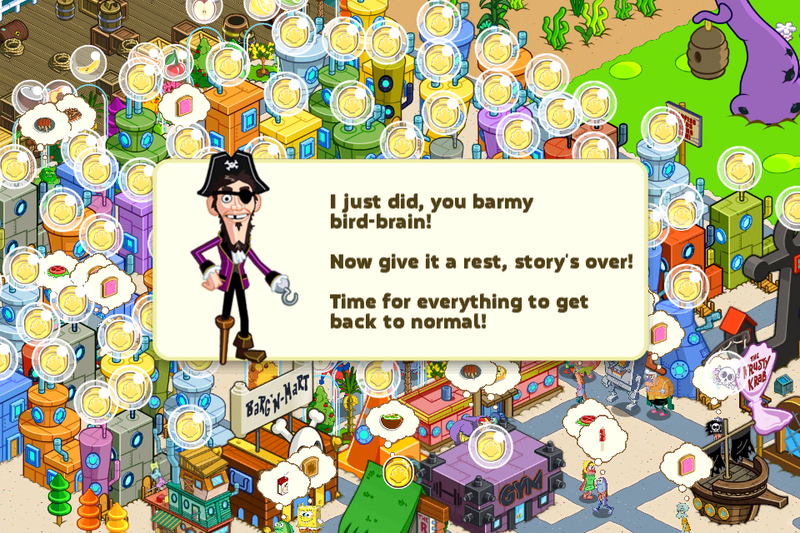 We have also included detailed information on the rewards that are distributed after a player completes each quest. 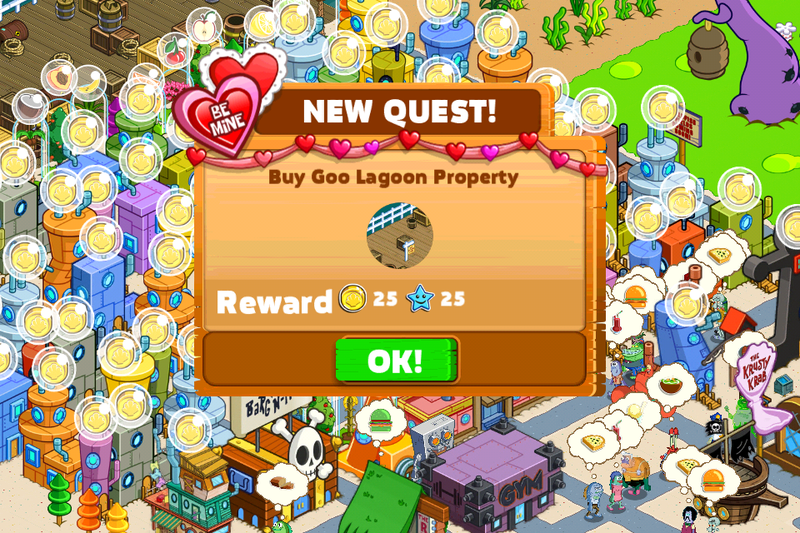 All quests are sorted in the order of which they occur in the Game. 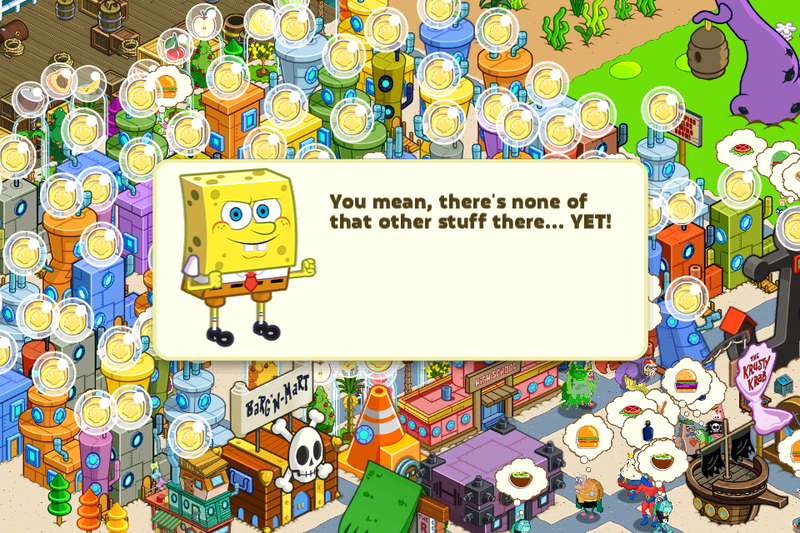 For each quest, the order in which the dialog takes place is simply Top to Bottom. 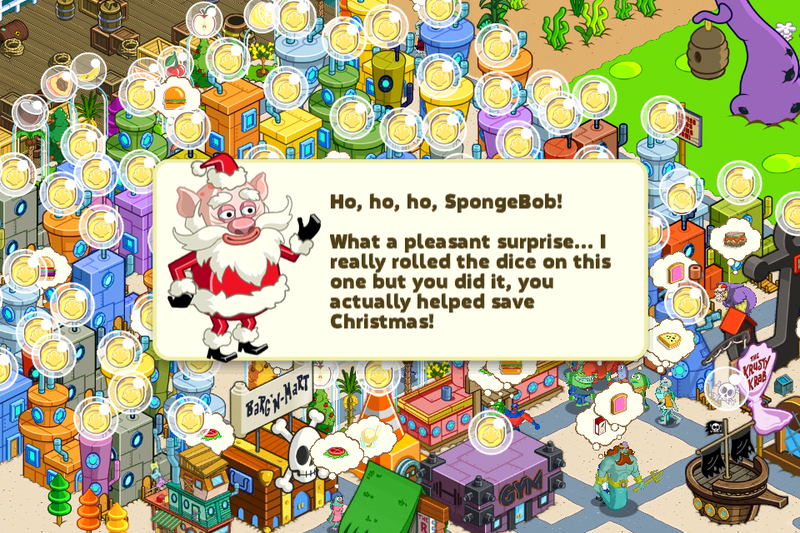 **Note: This quest was only given to players who had played the game before the February 2014 update, in other words, players who had participated in the Holidays 2013 Event. 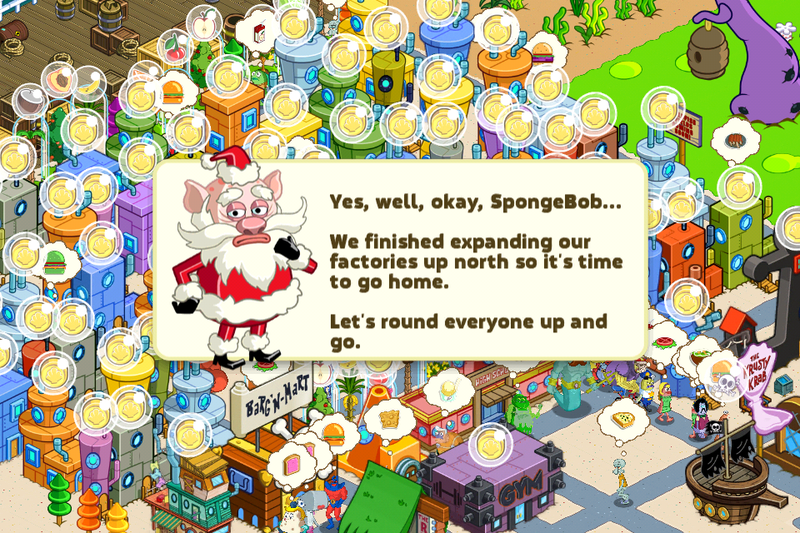 Well, this quest was technically meant to be the finale of the Holidays 2013 Event but it still took place after the update and hence, we decided to put it in this guide. 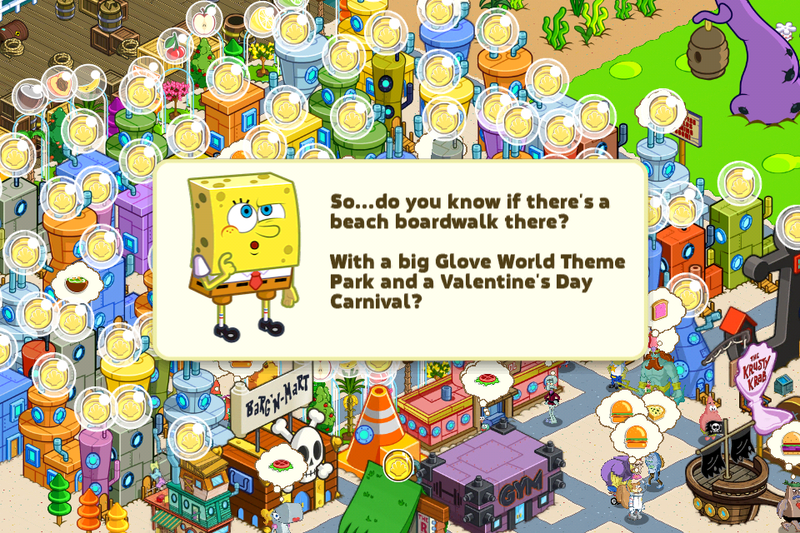 Where Did The Boardwalk Come From?